Zoé de Las Cases deliberately sought a smaller apartment in central Paris so that she and her family could acquire a bolthole in the countryside. Exactly two years ago, her dream was realised when she stumbled upon this wonderful etage in the 2nd arrondissement, and an abandoned country house in Normandy. Zoé is a creative soul, and divides her time between working as a graphic designer for French stationary company Clairefontaine, an artist - her latest project includes a collection of colouring books which have been translated into more than twenty languages including Secret Paris, Secret New York and Secret Tokyo and an interior decorator - she is currently juggling 7 houses and apartments between Paris and the South of France! And I thought I was busy...! Her creative philosophy is born from an art of living "that is a mix of decoration and style in a happy, playful and colourful universe." 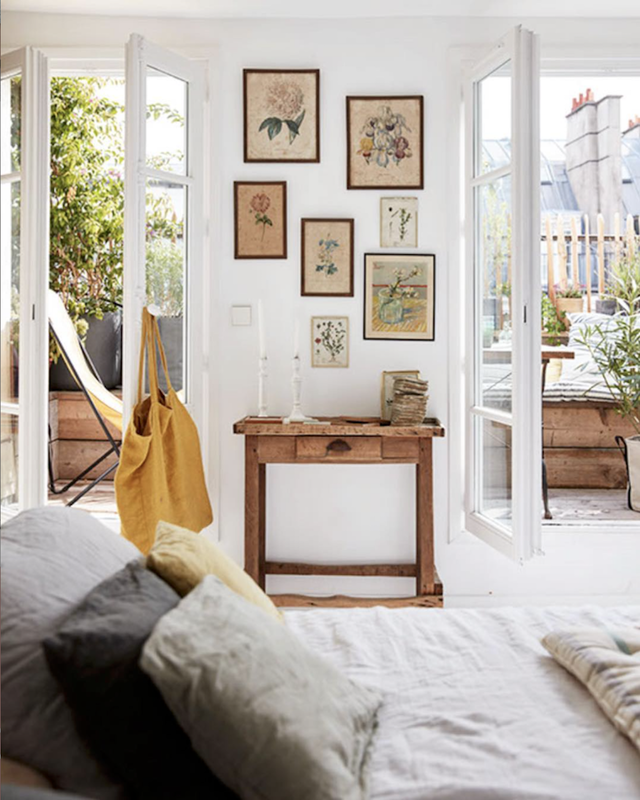 Laid out over two floors, the family's Paris apartment is a charming blend of old and new, resulting in a wonderfully relaxed home that's full of soul. Let's take a peek!